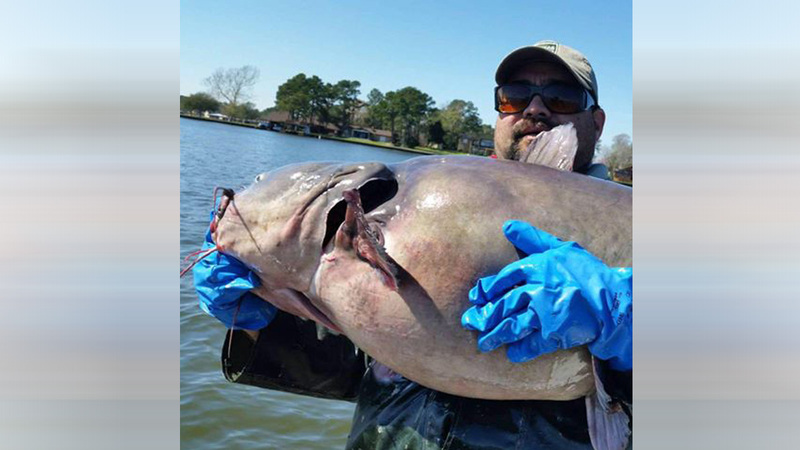 CONROE, TX (KTRK) -- Holy catfish! Officials with the Texas Parks and Wildlife say they caught a monstrous blue catfish in Lake Conroe. The Inland Fisheries of College Station-Houston District says the fish was caught in one of the wildlife department's sampling gear types in the lake, north of FM 1097. Officials didn't have its exact weight, but they estimate the fish is at least 60 pounds.